Firetrust announces the launch of SiteHound to effectively combat spyware, fraud, scams, malware and other Internet borne threats at the browser level. Firetrust Limited, provider of award-winning anti-spam and email security solutions, today announced the launch of SiteHound, a uniquely designed browser protection tool that provides protection for businesses and home users from Internet-based threats. SiteHound offers users protection by warning them when a website they are about to enter is a known scam, potentially downloads viruses or spyware on to their computer, has questionable content or anything a user would not consider reasonable. SiteHound appears as a small tool bar within the users Internet Explorer window. It provides protection by displaying a warning only when a user is about to enter a site posing a likely threat. SiteHound never blocks a user from entering a website, it provides a warning and information about the threat so the user can make an informed decision about whether to enter the site. Similarly if a user thinks a website provides a potential threat they can report it which notifies the SiteHound community at large. SiteHound Administrators check all websites reported, so as to guarantee that only valid sites are blocked. This solution enables security conscious web users to work together to effectively combat spyware, fraud, scams and other Internet threats before they enter a user's computer. Recent statistics released indicate that Internet fraud has been steadily increasing and growing proportionally reflecting the rise of business done on the Internet. Despite the common use of antispam tools, personal firewalls, and antivirus software, Internet threats continue to invade and harm users around the globe. These tools often only work after a PC or network has been infected and once the damage is done. Many thousands of people around the world fall victim to online scams and fraud daily with the consequences of Internet fraud ranging from annoyances, such as slowing bandwidth to debilitating causing loss of personal savings or identity theft. Alerts - indicate whether the site contains any of the following - Fraudulent claims or scams; Offensive material; Security vulnerabilities; Spyware of Adware; Spam related material; Content deemed to be unsafe. Specifically, SiteHound blocks these categories: Adult, Spyware, Spam Advertising, Phishing, Possible scam or fraud, Misleading or false advertising, Pharming, Rogue or suspect product, Adware, Malware or virus. Site Information Button - shows the user on a world map where the website is located and who owns it. Site Information Window - shows the user the site they are really visiting, which may not always be obvious with fraudulent sites. Options Button - gives users the option to password protect access to sites, update the SiteHound database. Report Button - allows users the ability to report suspicious or know malicious websites to the SiteHound team and therefore warn others as part of a global crime fighting community. "Online fraud continues to be a growing problem as people are tricked into providing personal information including passwords, credit card and bank account details, ATM PINs and social security numbers," says Nick Bolton, CEO Firetrust. "The concern with spyware, whether its presence is disclosed or not, and the reason it is loathed universally by so many, is that the user cannot verify or monitor what is actually being gathered and sent from their computer. SiteHound solves this by providing a built-in mechanism to the user's web browser so the user can oversee the details of the site they are entering and therefore make an informed decision before they display it." "SiteHound is an important step in stopping online threats such as phishing because it empowers users with a new tool to take back control of their web browsers. Our goal with SiteHound is to provide the simplest way for users to protect themselves from online fraud, spyware, scams and malware and improve their Internet experience," says Nick Bolton, CEO of Firetrust. "SiteHound's strength lies in the community, and that community is rigid in its standards for security and privacy," says Paul Laudanski of castlecops.com. "Consumers want their identities protected and their virtual environments secure. Those same cyber citizens will be using SiteHound and contributing to its database of suspicious websites. Such a team environment lends to a more secure browsing experience for everyone who use SiteHound." SiteHound follows in the steps of Firetrust's online security tools MailWasher Pro and Benign which currently boast more than 6 million users worldwide. Presently, SiteHound is available as an add-on to Microsoft Internet Explorer. SiteHound for Mozilla Firefox will be available shortly. SiteHound for basic protection is now available as a free download from Firetrust's website at http://www.firetrust.com/firetrustsitehound.html This version is free to use and will never expire. A fully-featured version of SiteHound is priced at $19.95 for a single user-license. SiteHound's minimum system requirements include Microsoft Windows 98, Me, NT, 2000 and XP operating systems. It is compatible with Microsoft Internet Explorer. 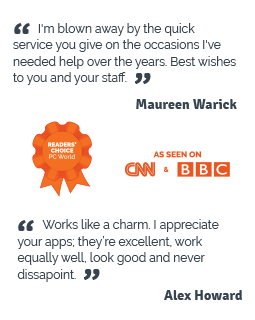 Established in 2000, Firetrust provides world-class e-mail security products for business and home users. Firetrust delivers solutions across the spectrum of inbox protection, including MailWasher Pro for unsolicited commercial e-mail (spam) and Benign to neutralize harmful e-mail which can contain viruses, worms, scripts and web bugs. The company is privately held and headquartered in Christchurch, New Zealand. 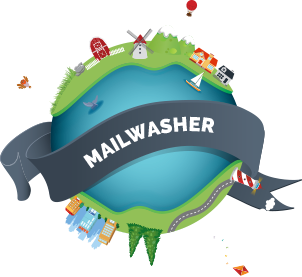 To date MailWasher has had more than 6 million downloads. For more information, please visit www.firetrust.com. SiteHound, MailWasher and Benign are registered trademarks of Firetrust Limited.